The annual report points to issues such as a scarcity of certified teachers in subject areas such as general science, physics and chemistry when compared to other fields. Concerns about shortages of qualified teachers in certain subject areas, such as math and science, have existed for years --- and are not only to Florida. 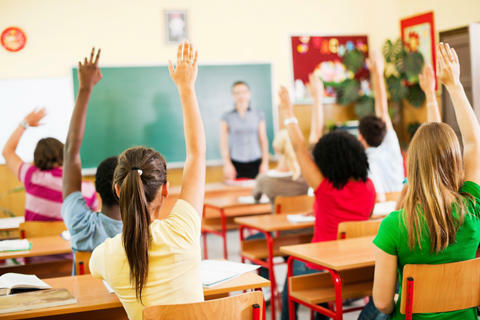 A 2016 report by the Education Commission of the States said evidence was “insufficient to support claims of an increasing teacher shortage on a national level,” but it said problems existed in certain fields. The Florida Department of Education says the state is experiencing a critical teacher shortage. Meanwhile, school districts across Florida continue to struggle to fill teacher positions. A Sarasota lawmaker is proposing to make it easier for retired teachers to get back in the classroom. Hernando County Schools admitted it cannot get rid of every teacher at a troubled elementary school when it signed a settlement with the local teachers union this week. The Florida Education Association, the state’s largest teachers union, along with seven Florida teachers are suing the state, the Florida Department of Education and all 67 public school districts. That includes university lab schools, Florida Virtual School and the Florida School for the Deaf and Blind. At issue: whether the state's “Best and Brightest” teacher bonus program discriminates against black and Hispanic educators and those over 40.